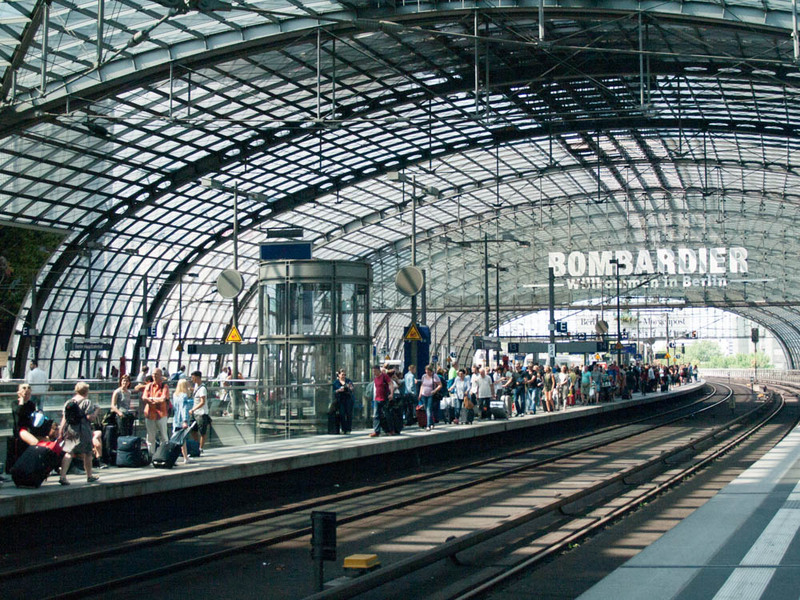 July 20, 2015 Writing any sort of neat summary post about Berlin is more or less impossible. As I have written before, the very nature of the city defies all attempts at synopsis: historically and architecturally, it is a place of metamorphosis and not of stability. One minute you are walking down some gorgeous boulevard surrounded by theaters and old restaurants, the next you are standing in front of a construction zone, with half the street torn up and posters of what it all looked like before 1989 hanging on the chain-link fence beside you. But the constant shift is what makes it all so exciting. And it is exciting. You ride the U-Bahn and S-Bahn (subway and overground) uptown, downtown, to some tiny restaurant in the Friedrichsstraße and back again to the Brandenburg Gate. You wolf down a plate of peppers and couscous at the Turkish Market on the river. You stand for an hour in the line outside the National Gallery to see the Expressionists, in sunshine so penetrating that the museum staff passes out umbrellas. 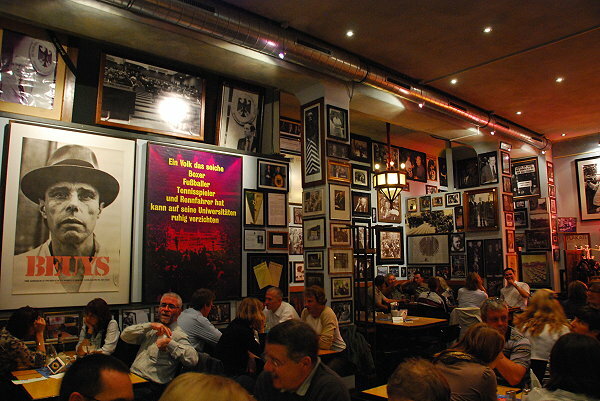 You talk until two, three, four in the morning about God and Eros and Art–after the Theater, in the hotel bar, in some gorgeous tiled courtyard at the Hackescher Markt. All through a haze of movement and wine and overstimulation that is both heady and exhausting. “Man kann ja schlafen, wenn man tot ist,” I say. You can sleep when you’re dead. 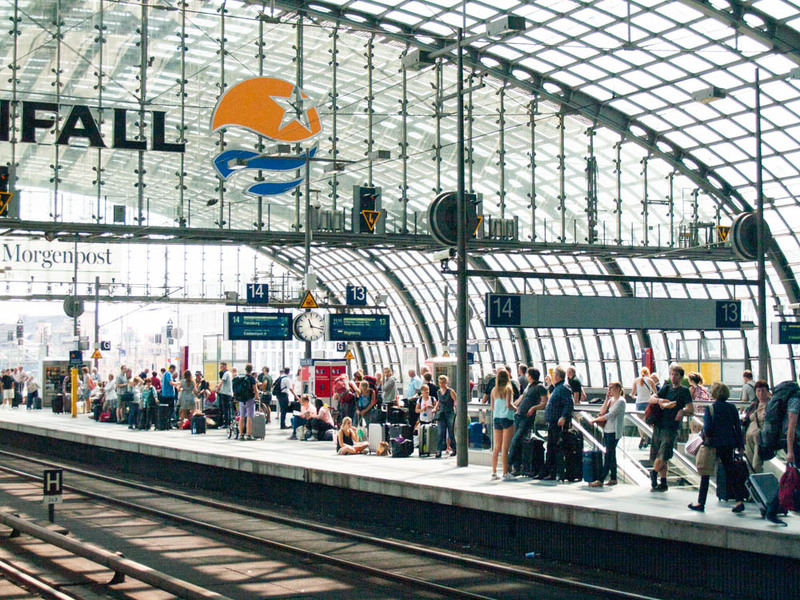 This time around, it was Berlin’s infrastructure, and specifically the city’s massive public transportation system, that struck me the most. The whole place runs on a great tangle of S- and U-Bahn stations, some works of art in and of themselves, some rivaling Frankfurt for dirt and stink. One has the feeling of being within a great machine–no, more than a machine, in some sort of living and breathing organism. 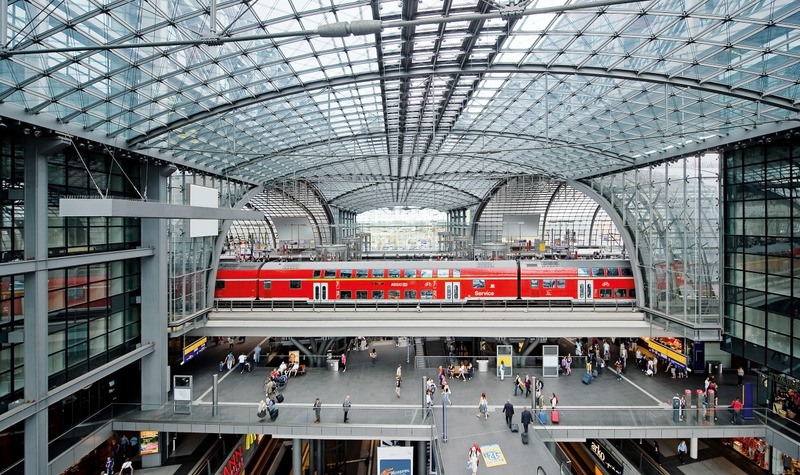 The Central Station, five stories of glass and steel, serves some 1,800 trains and 350,000 travelers each day. 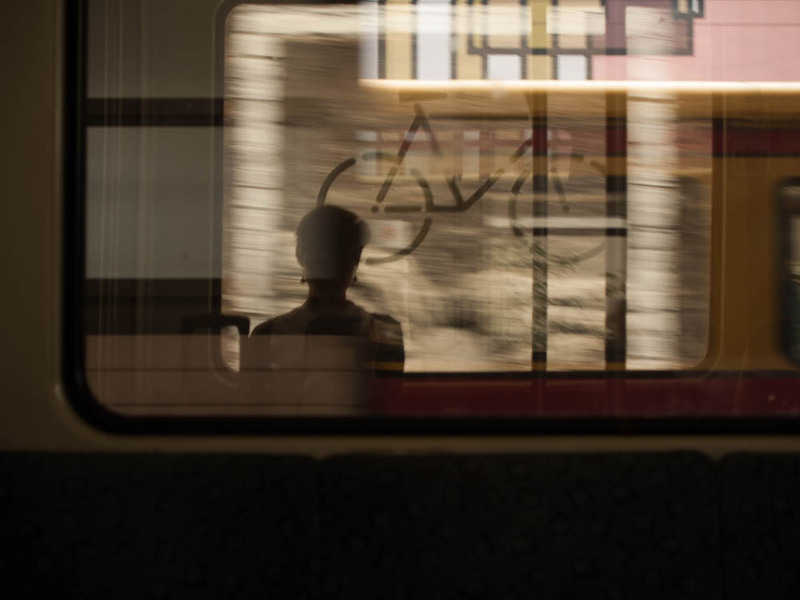 The energy that pervades the rest of the city is felt in every station in the Innenstadt: a new train roaring in every three minutes, throw yourself on and then off again, stand because all the seats are taken. Above all, I was shocked at (and perhaps more than a little proud of) the relative ease with which I was able to maneuver through it all, after a year abroad. It’s a feeling of accomplishment, of power even, to sift through thousands of connections and timetables, to get on the right train, and to know exactly where you are and where you are going. If only the rest of existence was that simple. Still, it’s all something that can be learned. A year ago I didn’t even know that you had to push the “Stop” button the bus if you wanted to get off at the next station. But things move forward. The Mädchen vom Land (country girl) is now thriving in the European jungle, folks. Mirror image in the Central Station, S-Bahn platform. 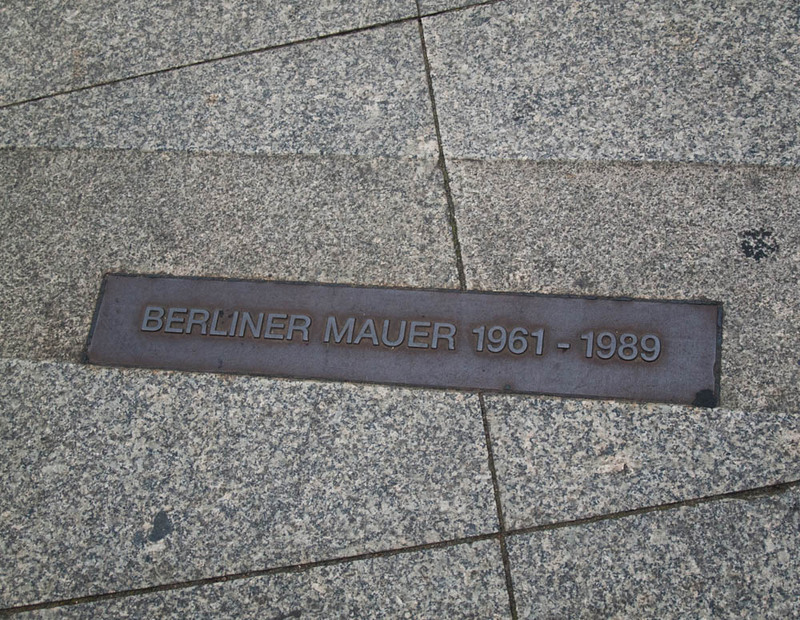 The position of the Berlin Wall is marked throughout the city, even though it doesn’t exist anymore–a line drawn through buildings, across streets, behind the Brandenburg Gate. Inside the Ständige Vertretung, a restaurant on the river that serves as a sort of shrine, in the best sense of the word. to pre-reunification Germany. The Holocaust memorial–direct in the heart of the city, inescapable. 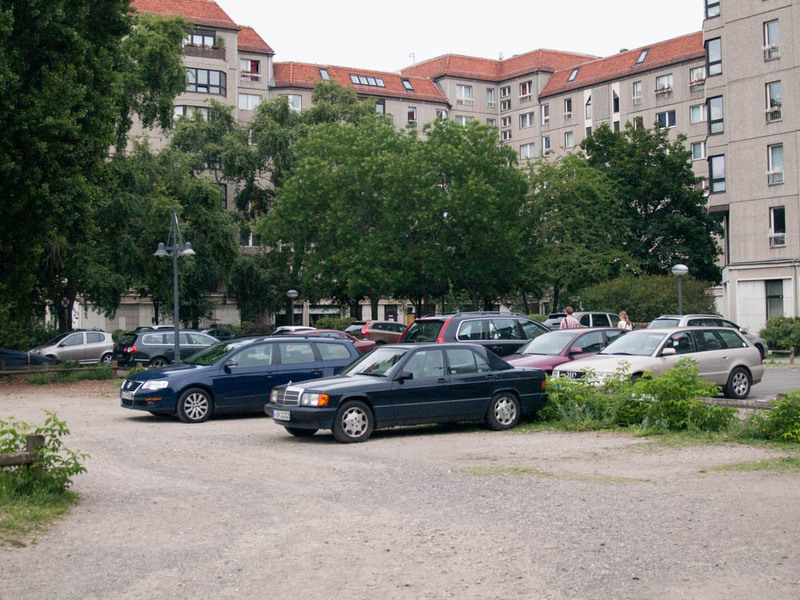 The seat of Hitler’s bunker in Berlin, where he committed suicide and where Goebbel and his wife poisoned their six children–a parking lot and utilitarian appartments. 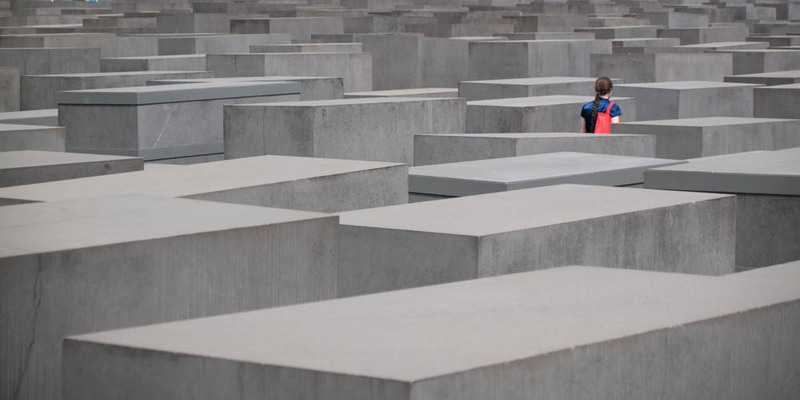 The lack of any sort of monument is just as fitting and unsettling as the massive memorial to the Jewish victims of the Holocaust across the street. Willkommen in Berlin. Welcome to Berlin. 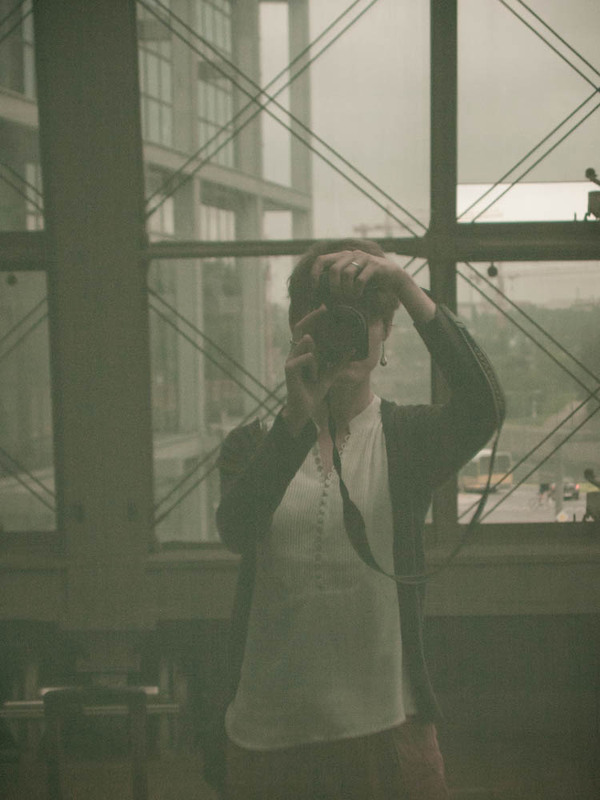 In the end, after three days in Berlin I was completely and utterly exhausted. But I think that was more from the talking-till-four-in-the-morning than from anything else. Dialogue at its most intense is one of the most beautifully draining experiences on this planet. This entry was tagged architecture, Berlin, Berlin Wall, city, DAAD, Deutschland, German culture, Germany, history, Holocaust, industrial, photography, public transportation, trains, travel, urban. Bookmark the permalink.